Dental implants are essentially a false tooth where the root is made of titanium which is placed into the bone and the crown is usually made of metal and porcelain, which is either glued or screwed onto the titanium root. 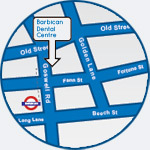 Placement of dental implants are usually undertaken with a local anaesthetic. The procedure itself is usually not painful however there may be slight discomfort once the anaesthetic wears off which is usually controlled with painkillers. The majority of patients who have dental implants placed are back to work the next day. Dental implants are used to replace missing teeth. They look natural and are extremely strong giving you the confidence to smile and eat food without embarrassment. Implants also help preserve bone so you can avoid having a sunken appearance if you have lost a number of teeth. Implants are also free standing structures and therefore don’t rely on or damage the adjacent teeth. Initially an assessment is undertaken to ascertain if you are suitable for dental implants or if an alternative solution may be more appropriate. Radiographs and impressions of your teeth may also be taken at this visit. On occasion a scan of your jaws may be organised. Once the records have been collected treatment options are discussed, and if and when you are ready and comfortable appointments arranged for placement of the implants. Once the implants are placed they may need to be left to heal for 3 – 6 months before the final crown is placed on the tooth. Once the implant is completed you may start to ease your way into eating your normal food. The implant may feel a little strange initially especially if you have not had a tooth present in the gap for a while. We may request for you to wear a bite guard at night to help protect your implant especially if you grind your teeth at night. It is important that you maintain good oral hygiene around your implants and come for regular checkups to maintain the health of your implant. The longevity of your dental implants will depend on a number of factors such as whether you smoke or follow a good oral care hygiene regime. Providing good care is taken with regular visits to a dentist and hygienist, it is entirely possible that your dental implants could last decades, however the crown on top of the implant may need to be replaced every 7 – 10 years.